Rare find! 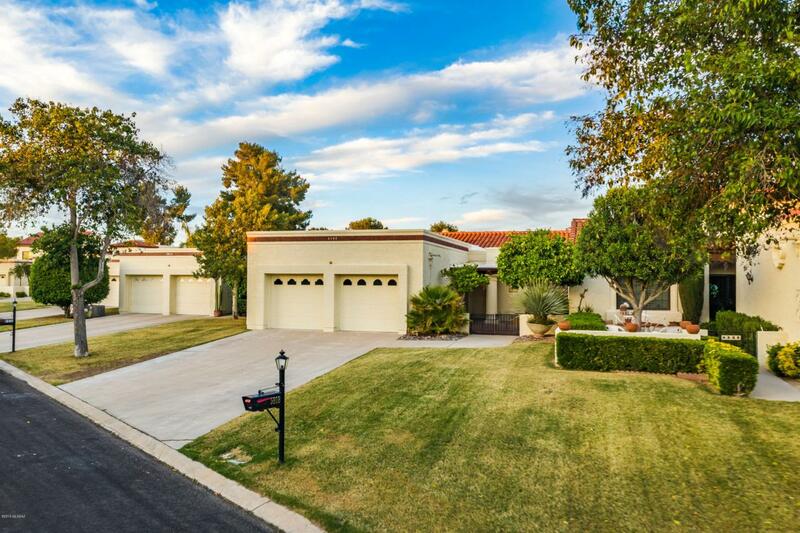 Patio Home on the 14th fairway at Oro Valley Country Club with golf course & Catalina Mountain views! 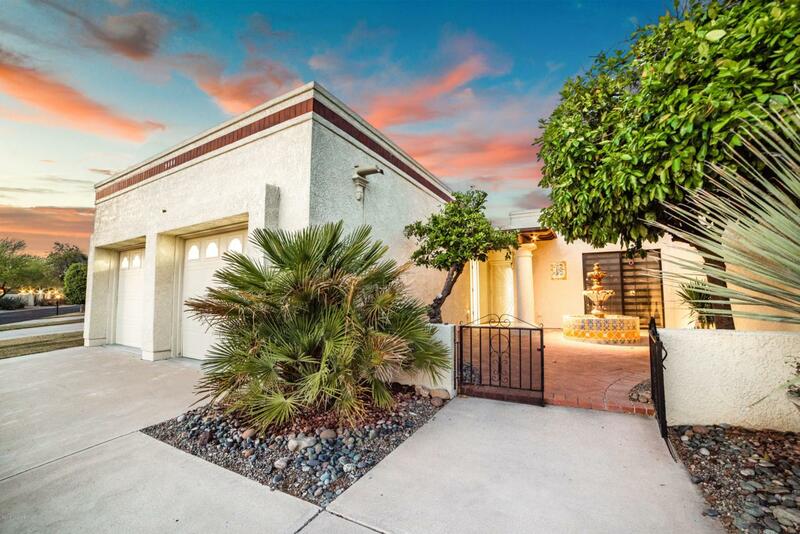 Private courtyard entry with tranquil water feature greets you & sets the scene for this charming & well-maintained home. 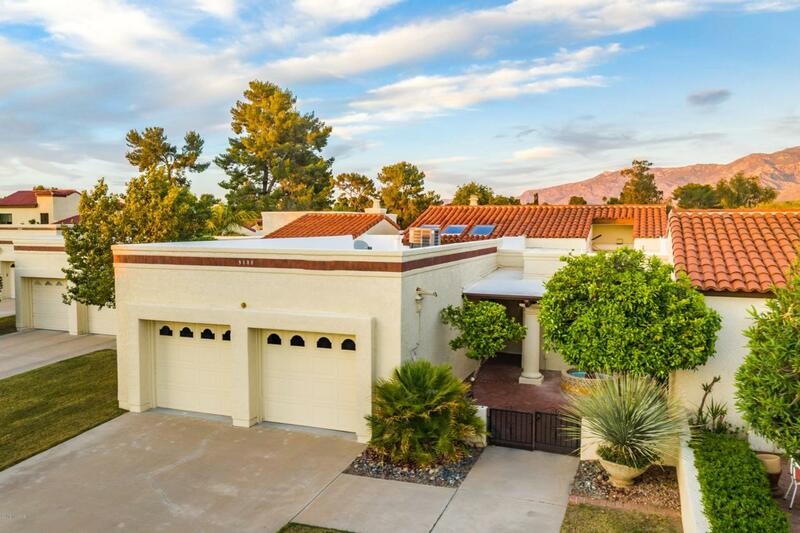 The home is decorated to embrace the Old Pueblo but keeps its modern appeal with open floor plan, neutral 18'' tile floors, vaulted wood ceilings & a wall of windows to take in the views. Great Room features a massive corner fireplace with concrete mantle & hearth. Talavera tile arch frames the kitchen & invites guests to gather at the wine bar while the cook prepares in the eclectic kitchen decked out with blue cabinets accented by cream tile counters & stainless appliances. Dine in the Indoor atrium with brick floors & opening roof windows. 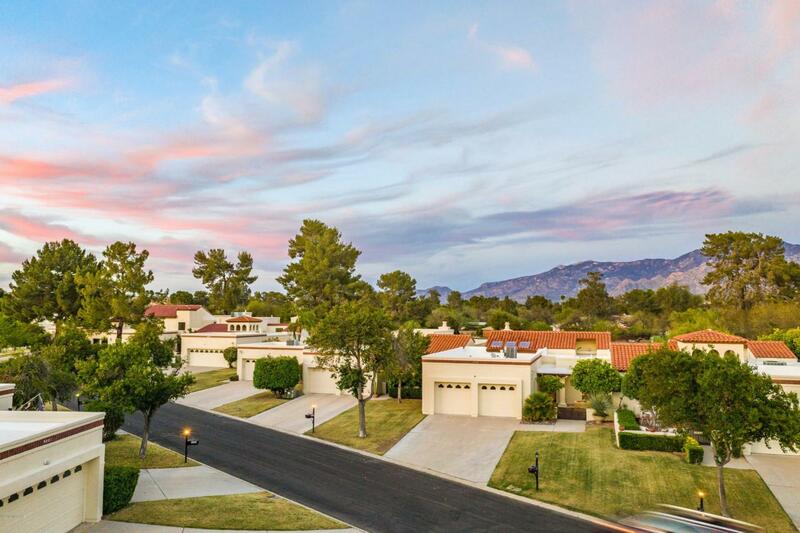 A must see!HOA includes common area maintenance & insurance, front yard maintenance that is not in enclosed areas, roof, exterior painting, trash, pool, spa, recreation center with kitchen facilities.